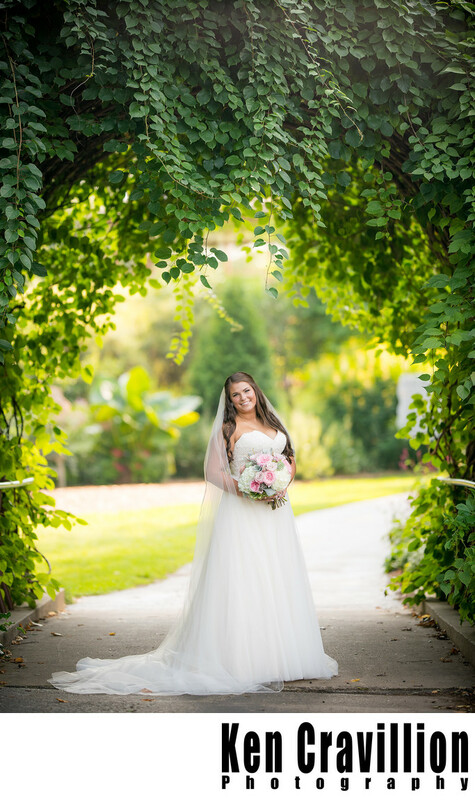 A bridal portrait from my favorite place at the Green Bay Botanical Garden. The light is just perfect fro this wedding photo. The soft light and the bride being framed by the arch of vines.... 1/640; f/1.8; ISO 320; 135.0 mm.